Home / Contests • Featured / Contest Time! Win An Awesome Comet TV Prize Pack! Teen Wolf Shirts! Freaky Feast Pack! And More! And we have another amazeballs giveaway thanks to the folks at COMET TV! Theywant to give you the opportunity to have a Freaky Feast of your own all month long! The COMET TV November Freaky Feast Pack is perfect for a Horror-iffic gathering! 1 –Limited Edition Teen Wolf T-shirt: Get ready to Howl! This shirt sports the classic Teen Wolf logo on the front and is perfect for letting your inner freak fly. Whether you’re playing basketball or just letting your beard grow in, we got you covered! Literally, I mean… It’s a shirt. Hello! Ummmmm can we say awesome! Contest And Review! The Shack On Blu-ray! The Inspiring Family Film Is Out May 30th! (ended) MTF Contest Time! 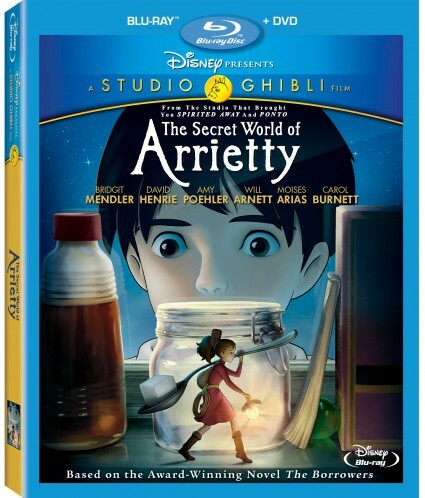 Win A Blu Ray Combo Pack of Walt Disney’s The Secret World of Arrietty Coming To DVD May 22! Forget that the wolf playing Fox on the court must be twice his size and four times the athlete, this movie is just a lot of fun to watch, helped considerably by Hampton as the understanding dad and Ursitti as the under-appreciated girl friend. Michael J Fox is the best thing about Teen Wolf. I loved his stuff in the 80s. I love all the great 80’s music. The school dance was one of my favorite episodes. I loved this movie I swear I was the biggest Micheal J Fox fan!! My favorite thing about the Michael J Fox classic Teen Wolf is absolutely the school dance and the music. Reminds me of my high school years. I remember when this came out and I went with my friends to see this. I like how funny it was. I grew up with that movie! I loved watching Michael J Fox! There was no link to your FB post to share it on the form.